I don’t mind being recorded. Unlike other speakers who deliver the same canned talk over 70 times a year, I speak at half as many events annually. While doing an average of 3 events a month might still seem like a lot … it is fairly selective compared to many other speakers. Yet despite limiting my talks and speaking at mostly private closed events, I have amassed a fairly large collection of videos from all of this speaking that I have rarely had a good way to share publicly. Until now. Starting today – and every Tuesday afterwards, I plan to share a new video curated from a past talk directly on my YouTube Channel (Subscribe here). So without further explanation – today’s video comes from a keynote presentation I delivered last year to an audience of Museum and Theater Managers and Administrators on “Why Faceless Organizations Never Win.” I hope you enjoy it and the future videos to come! THE BACKSTORY: Why does building a more human organization matter? 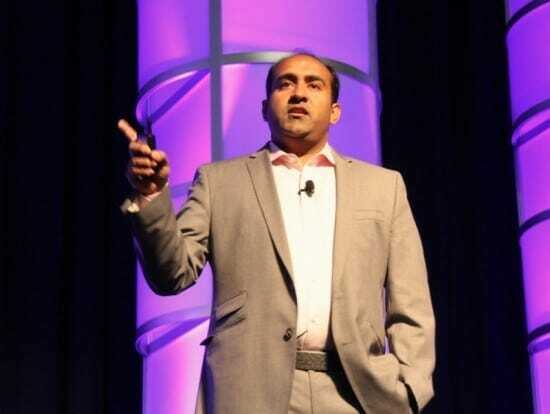 In this intro from an hour long Marketing Keynote talk, Rohit shares a short story of how to keep your organization from being faceless and why customers or fans are more loyal to authentic brands. The full Closing Keynote talk for the National Arts Marketing Program was delivered to an audience of Art, Museum and Theater Managers and Administrators in 2013. WHAT IT SHOWS: This opening segment is a good example of how Rohit works hard to customize every talk with relevant examples and stories that will be relevant for any target audience. The opening story of working in theater is one Rohit had never shared on stage before this event … an illustration of his longstanding philosophy that the most inspirational and actionable presentations are never canned or delivered from scripts.